MEMPHIS, TN (WMC) - A developing cold front will move through the Mid-South late Friday night into early Saturday morning. Ahead of the front lies a strong southerly flow bringing a surge of warm air and Gulf moisture. 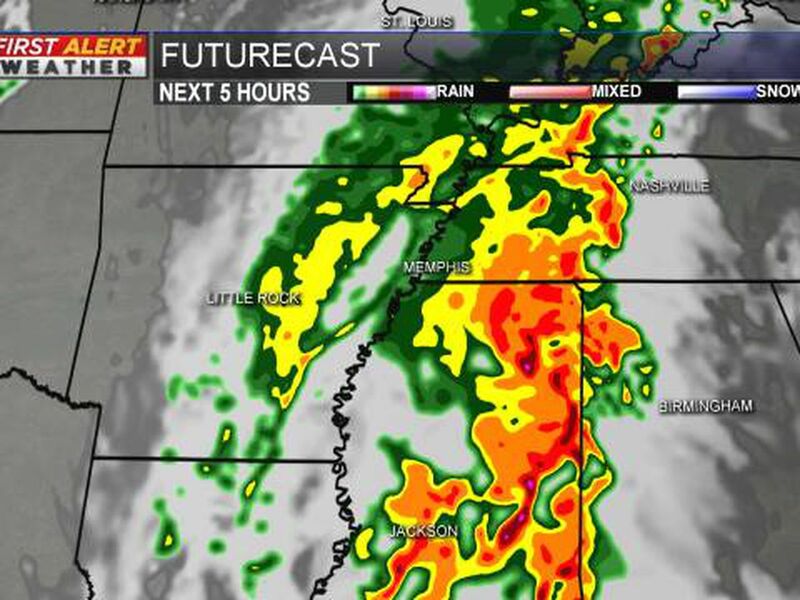 The front has the potential to bring a few strong storms to parts of eastern Arkansas and northwest Mississippi. Fortunately, the best dynamics for severe storms will be well south and west of the Mid-South and the WMC Action News 5 coverage area. Forecast models Thursday indicated a surge of moisture driving north along and west of the Mississippi River Friday night around 7 PM. This initial surge could produce some strong wind and very heavy rainfall and could produce a few strong to severe storms. That is expected to be followed by scattered showers and storms moving east in advance of the cold front as it moves toward the Mississippi River during the wee morning hours Saturday. The storms that develop along the front will have the potential to produce some damaging wind and possibly an isolated tornado, although the tornado threat is very low. The initial round of rain Friday evening should help to stabilize the atmosphere to some degree ahead of the approaching front, but until it moves east of the river we will need to need to remain alert. 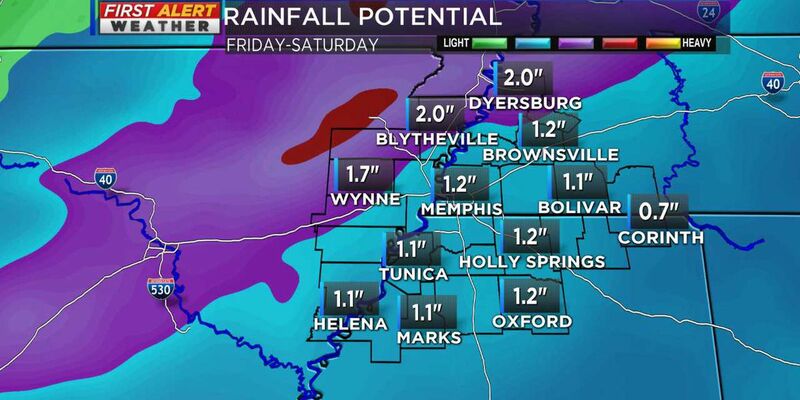 This system also brings the potential to produce some flash flooding Friday night into early Saturday morning. 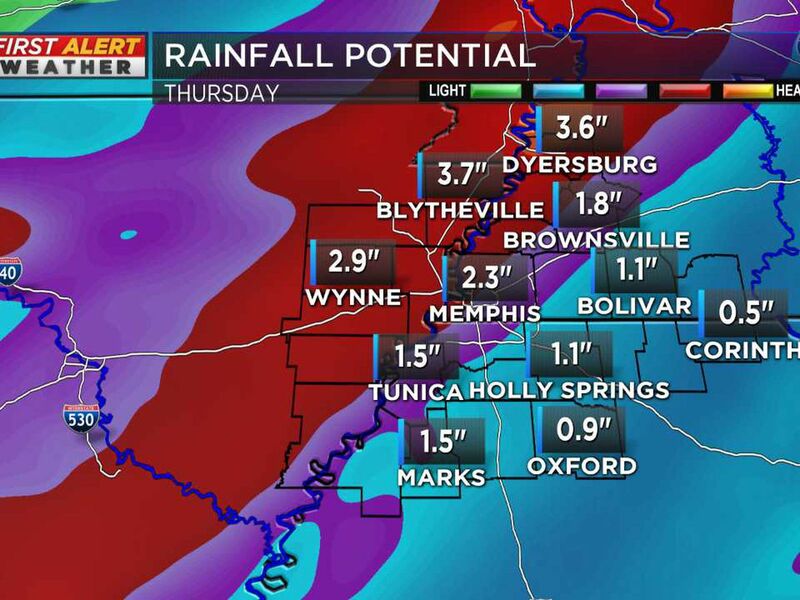 Current forecast models show one to two inches of rain across the Mid-South with the heaviest rainfall in northeast Arkansas and northwest Tennessee. Be sure to have a method of getting weather information through the day Friday as well as watches and warnings Friday night should any be issued. If you have a weather radio make sure it is ON before you go to bed Friday night. And be sure to download the WMC Action News 5 First Alert Weather app. You’ll have video updates throughout the day and evening from the First Alert Weather Team, interactive radar, hour by hour forecasts, and watches and warnings right on your smartphone or iPad. It’s a free download that will keep you weather aware. 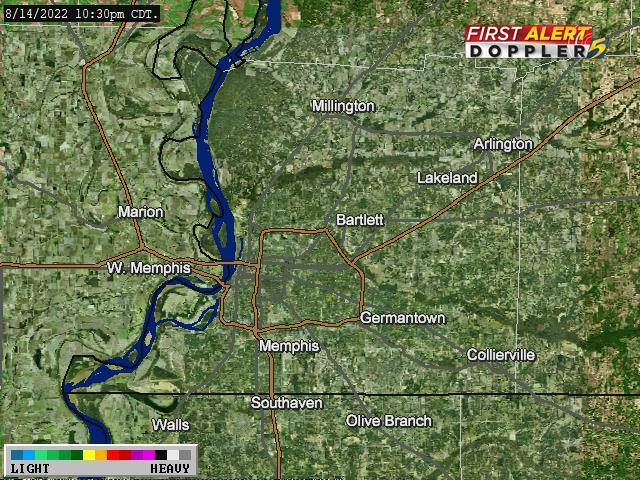 Chief Meteorologist Ron Childers can be seen on WMC Action News 5 weekdays at 5, 6 and 10 p.m.